Tue., Feb. 14, 2017, 7:54 a.m.
Hugh Jackman has revealed another treatment for skin cancer. 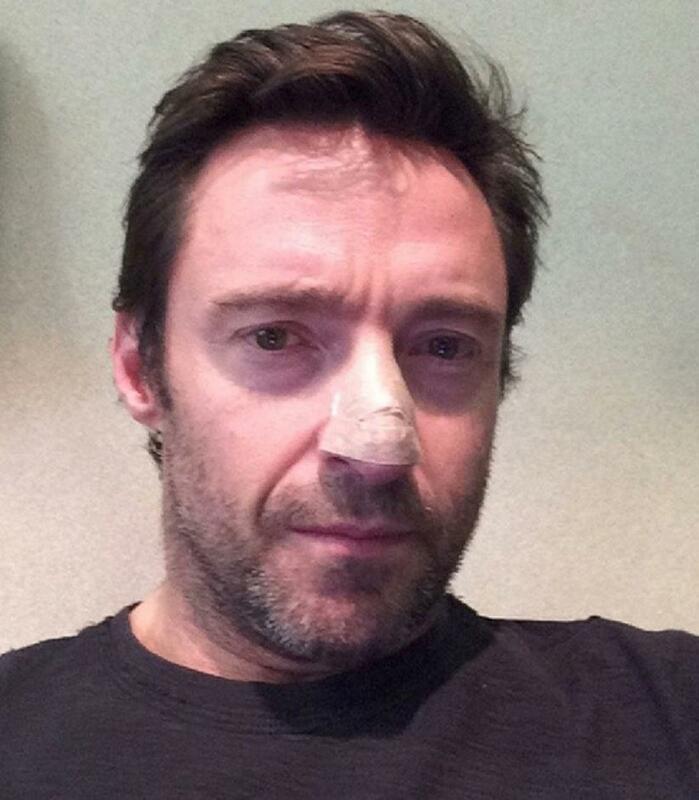 The 48-year-old star of the X-Men and Wolverine franchises posted a selfie on social media Monday showing off his bandaged nose. Jackman writes, “Another basal cell carcinoma. Thanks to frequent checks & amazing doctors, all’s well. Looks worse w the dressing on than off!” He also offered his fans some advice to wear sunscreen. Jackman has been open about his battle against skin cancer in recent years. He also posted a selfie of his bandaged nose in 2013 and showed up at a movie premiere the next year two days after having a growth removed. Published: Feb. 14, 2017, 7:54 a.m.